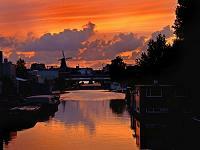 The Netherlands , is a lively mix of tradition, in the form of windmills and tulips, and fast-paced modern European life. The Dutch are an affable race, with a good sense of humor and a keen sense of how to enjoy themselves, whether it be relaxing in the countryside or partying hard in the big cities. Despite their country’s puritan past, they are known for tolerance, or at least turning a blind eye. Known as being largely flat (much of the country lies below sea level, and another great swathe is made up of ‘polder’, or land reclaimed from the sea),The Netherlands is an ideal destination for those who enjoy pursuits like cycling or walking without over-exerting themselves. But it is a cultured land as well, as the seemingly endless list of great Dutch artists testifies. The Netherlands’ roots in the arts stem from the 17th century, the so-called ‘Golden Age’, which placed this tiny but rich country at the forefront of European culture. The gaining of the upper hand by imperial influence and the annexing of The Netherlands to the far-flung empire of the Hapsburgs in the 16th century resulted in the rebellion of the largely Protestant northern provinces of the Low Countries, led by William of Orange and Nassau - this struggle for independence would last until 1648. This was compounded by a remarkable growth in Dutch sea power, as many Spanish and Portuguese possessions in the New World and East Asia were seized. This reached its acme in 1689 when William III of Orange became King of England - although the association was severed on his death in 1702. The Dutch are enthusiastic Europeans, and the European Union is the main focus of Dutch foreign policy. 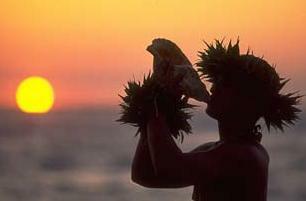 Their country is full of interest, heritage and fun for the visitor. The Netherlands shares borders to the south with Belgium and to the east with Germany, while the North Sea lies to the north and west. Large areas of The Netherlands have been reclaimed from the sea and consequently one-fifth of the country lies below sea level. The country is flat and level and is criss-crossed by rivers and canals. Areas reclaimed from the sea, known as polders, are extremely fertile. The landscape is broken by the forest of Arnhem, the bulb fields in the west, the lakes of the central and northern areas, and coastal dunes that are among the most impressive in Europe. One of the city’s cultural Meccas is the Rijksmuseum, a voluminous art gallery that is home to the works of many of the country’s artistic luminaries, as well as numerous European masters. The highlight for many visitors is Dutch master Rembrandt’s epic Night Watch, though the list of the gallery’s treasures is almost endless. Fellow Dutch artist Van Gogh is celebrated throughout the city, with the Rembrandt House Museum, housed in the historical building where the great artist used to live and work. The Stedelijk Museum of Modern Art, a collection of Dutch and international art from 1850 onwards, includes works by Cézanne, Chagall, Monet and Picasso, as well as photography, video, film and industrial design. Amsterdam’s most poignant museum is Anne Frank’s House, where the young Jewish girl hid away from the occupying German forces, who were intent on ridding the city of all Jews and sending them to their cruel fates in the death camps. The museum illuminates the young girl’s life and is of interest to everyone, whether they have read her famous diary or not. A more light-hearted attraction is the Heineken Brewery. Heineken, the Dutch national brewer, is the world’s second-largest brewing empire and this brewery, which operated from 1932-1988, is now a museum. There are daily guided tours, which culminate with ice-cold samples of the famous beer. Amsterdam is justifiably famous for its nightlife with few other European cities managing to quite satisfy every conceivable taste in the same way as The Netherlands’ capital. Within a few blocks, well-heeled couples idle away an evening in a canal-side gourmet restaurant, and a group of backpackers stumble across the cobbles after a night in a cheery pub, as just around the corner the local trendies pose their way through an evening in a new-style bar. Then there is the Opera House, the string of concert venues, the football stadium, some of Europe’s best nightclubs and the jazz cafes, to name a few other nocturnal pastimes in Amsterdam. And, of course, there are the seedier ways to spend an evening, either exploring the infamous coffee shops of a city where soft drugs are not only allowed, but are sold over the counter, and the Red Light District, a nefarious playground where all sorts of low life mingle with the curious and the downright seedy. Wherever tourists spend their evening, there is the same relaxed, live-and-let-live ambience of a city where almost anything goes. Amsterdam Pass: This offers free admission to many museums, tourist attractions and public transport as well as up to 25 per cent discount on certain other attractions, restaurants and transportation within the city. The pass is available for one-day (&Euro;31), two-days (&Euro;41) and three-days (&Euro;51). Further details about the pass can be obtained from the Amsterdam Tourist Office (tel: (20) 201 8800; e-mail: info@atcb.nl). The province of Utrecht, in the very heart of The Netherlands, contains numerous country houses, estates and castles set in landscaped parks and beautiful woods. The countryside around Utrecht is very fertile and seems like one large garden. 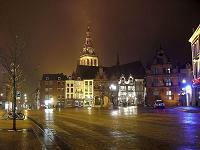 25km (16 miles) to the northeast of Utrecht is the town of Amersfoort, set in a region of heathland and forest. The old town is well preserved, one of the most attractive buildings being the Church of St George. Just 8km (5 miles) away is the town of Soestdijk, containing the Royal Palace and the beautiful parklands of the Queen Mother. Between Soestdijk and Hilversum is Baarn, a favorite summer resort among the Dutch. Near Arnhem is the Hoge Veluwe National Park, an extensive sandy region and a popular tourist area, which contains a game reserve (in the south), and the Kroller-Muller Art Gallery and Museum, with many modern sculptures and paintings (including a Van Gogh collection). One ticket enables the visitor to see all of this, and there are free bicycles available to cycle around the park. Almost all of the old traditional villages have been converted into holiday resorts. There are no towns of any size in the Veluwe region. The Netherlands is rightly known as ‘the land of bicycles’: around 15 million Dutch people regularly travel by bicycle and there are an estimated 12 million cycles in use. The popularity of cycling is perhaps mainly due to the country’s geography: distances between the cities are short and the countryside is almost totally flat, except for a few rolling hills in the east and south (the highest of which is a mere 321m/1053ft). Not surprisingly, cycling facilities are outstanding and there are approximately 17,000km (10,625 miles) of special cycling lanes and paths available. Detailed cycling maps (recommended) can be obtained forevery province from local tourist information offices; as well as indicating cycling routes and tracks, the maps provide route descriptions and guides. Cycling lanes are recognizable by a round blue sign with a white bicycle in the middle. Most itineraries are circular routes, starting and ending at the same place. The province of Gelderland has the highest number of marked cycling routes. Landscapes vary from spectacular dunes (on the Duinroute in the north of the country) to wilderness and forests (on the route across the Hoge Veluwe nature reserve in the Gelderland Valley). Long-distance routes (such as the 270km-/169mile-North Sea route LF1 between the Belgian border and the northern Dutch town of Den Helder) are also available. Bicycles can be hired virtually everywhere and a list of local hire companies is available from The Netherlands Board of Tourism (see Top Things To Do). The Netherlands Railways also offer bike-rental vouchers, which can be bought at railway ticket offices. Vouchers can be used at bicycle depots at over 100 train stations throughout the country. Over 300 stations offer the facility to take bicycles onto the train. The classic Dutch upright single-speed hub-brake bicycle is the most frequent, but other types of bicycles (including mountain bikes, children’s bicycles and tandems) are also available. In The Netherlands, walking holidays are also very popular; the 300km- (188mile-) long coast has a number of scenic walks through sand dunes and nature reserves. Visitors can obtain maps with walking routes from the Foundation for Long Distance Walks (Stitching Lange-Afstand-Wandelpadsen), PO Box 846, 3800 AV Amersfoort (tel: (33) 465 3660). Visitors can also join the annual six-day walking event (beginning of August), where participants walk from Hook of Holland to Den Helder. At Wadden Sea National Park (Europe’s largest continuous national park), there is also the opportunity to take part in various types of mud walking trips on the bottom of the Wadden sea, whose shallows fall dry at low tide. The Dutch coast on the western shore is well suited and well equipped for all types of watersports, including swimming and windsurfing. Sailing is popular on Friesland Lakes, the Ijsselmeer, Loosdrechtse Plassen (south of Amsterdam) and Veerse Meer. Boats can be hired without difficulty in most places. Touring Holland’s canals and rivers is popular. Catamaran sailing and parachuting is possible on the islands of Ameland and Texel. Water-skiing is not permitted on inland lakes. Fishing is popular throughout the country, but while no license is needed for sea fishing, inland fishing licenses are required and are available at local post offices. A visit to one of the famous Dutch flower markets is recommended. The best ones are in Amsterdam (where the famous Bloemenmarkt along the Singel canal is a major tourist attraction), Delft and Utrecht. Dutch flower bulbs are available for sale but it is essential to make sure the vendor sells them with an official export certificate. 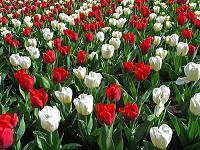 The most popular Dutch flowers are tulips and daffodils. There are also various colorful flower parades (corso), notably the Bollenstreek flower parade (the country’s biggest). Many parades display spectacular flower ‘floats’ made of hyacinths, daffodils and daliahs. The Floriade, held every 10 years in The Netherlands, is one of the world’s most famous flower exhibitions. Last held in 2002 (from mid-April to mid-October), the city of Haarlemmermeer hosted this prestigious horticultural event. Visitors may also visit one of the country’s unique flower auctions, such as the ones in Aalsmeer (easy to reach from Amsterdam) and the ‘Flower Auction Holland’ near The Hague and Rotterdam in the Westland. The country’s traditional cheese market is held in Alkmaar, every Friday from 1000, from mid-April to mid-September.